The National Enquirer & Michael Jackson love-hate relationship began amidst Thriller’s heights. 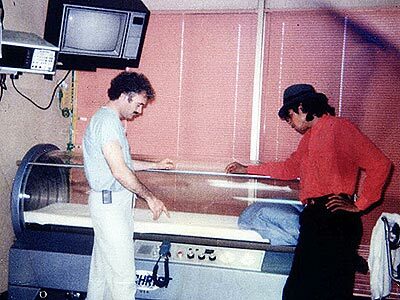 During his stay at Brotman Memorial Hospital, after the Pepsi commercial burn, the Gloved One came across hyperbaric oxygen chamber which, he was told by his plastic surgeon Dr Steven Hoefflin, prolongs life. 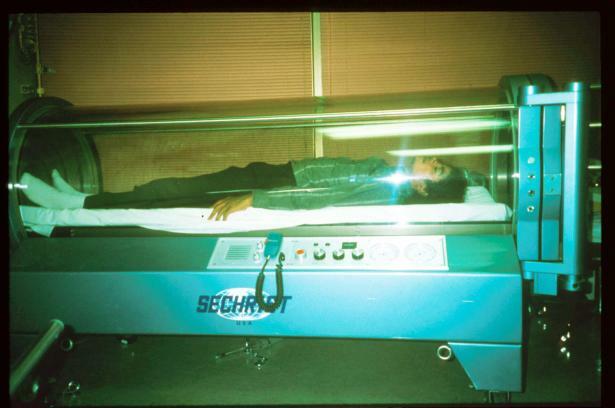 Michael slept in a chamber several times and contemplated buying one but his then manager--Frank Dileo-- talked him out of it. 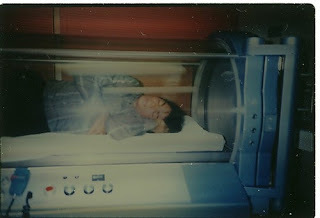 --September 12-- Frank Dileo planted the oxygen chamber story. "I've taken several long naps in a hyperbaric oxygen chamber and when I awoke, I felt like a new person. I've never felt better. I definitely want one for my home so I can sleep in it at night. I plan to get one immediately. I want to live to see world peace, a world without hunger, a world where children and all mankind know no suffering. I believe if I treat my body properly I'll live to be at least 150" Michael is quoted to saying. When Katherine Jackson told Frank Dileo “you shouldn’t be spreading stuff like this. The stories about Michael Jackson in the tabloids got a life of its own. Even after Frank Dileo’s termination in February 1989, the rumor mills continued to turn. In 1987, MJ lambasted “the National Intruder” in his ‘Leave Me Alone’ music video but a decade later, it was the National Enquirer he sold Prince's pictures. a marketing gimmick—to promote constant public conversation about Michael Jackson. Somewhere down the road, what was once an ingenious publicity ploy took a wrong turn. The growing public opinion about Michael Jackson as “Wacko Jacko” only promoted tabloid sales. Before you know it, Michael’s private life had become a hot commodity garnering top dollars. Everyone wanted a piece of the pie. His staff, colleagues, friends, acquaintances, hired help, even his own Family feed the media with the details of Michael Jackson’s life, stipulating anonymity. The former nanny for Michael Jackson's three children got into a brawl recently with Jackson's sister during a heated dispute over how the children are being raised. In the ugly incident, longtime nanny Grace Rwaramba came to blows with Michael's 59-year-old sister Rebbie after an argument between the two women exploded out of control, say sources. What started as a confrontation over the parenting skills of the singer's mother Katherine - who has been named permanent guardian of his children - quickly turned violent. After heated words were exchanged, Rebbie punched Grace, starting a nasty donnybrook, according to a Jackson family insider. Sources told The Enquirer the fight erupted last month at Katherine's home in Encino, Calif., where Prince Michael, 12, Paris, 11, and 7-year-old Prince Michael II (nicknamed Blanket) have been living since their father's June 25 death. "Grace the nanny paid a visit to check on the children," disclosed the family insider. "She had been fired by Michael a few weeks before his death, but she still loves the kids and is concerned about their welfare. "The family had even considered re-hiring Grace to help with the transition in the aftermath of Michael's death - but that's now out the window after what happened between her and Rebbie. "Grace went on a tirade about how the kids should be cared for. Grace questioned Katherine on what time the kids were going to bed and everything else. "But Grace kept on being critical, and Rebbie became incensed with the way she was speaking to her mother. Katherine told the Child Services that Rebbie would help her in raising Michael Jackson’s children. Upon the tabloid story, the Family worried that it may jeopardize Katherine’s guardianship. Rebbie states unequivocally that the scuffle was verbal only—not a physical altercation. Still, it was unsettling that a private Family affair found its way to the media. How? Stacy Brown and the Enquirer also settled out of court. The Enquirer explained that Latoya and Joe Jackson have been go-to "anonymous" sources throughout the years which is why they didn't want to lose that valuable connection by outing them. L'attention Jackson is 55 year old with no children. The money she generated by exploiting MJ's death could sustain her for the rest of her life yet it's never enough! to get paid. In this tough economic time, mothers leave their screaming children at daycare to work two or three jobs. 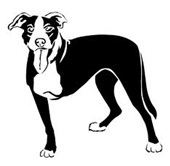 The three-legged dog of a family of champion racers makes her living by selling off Family Secrets. It makes me wonder if the 900 phone line to sell the Jackson Family Secrets was really Jack Gordon’s idea! Michael Jackson stands for charity but the Jackson Family is the epitome of GREED! a dramatic confession. 'Mother, Jermaine’s been fighting' She always is the quiet observer, collecting her tales to spill later. It didn't even matter if she made stuff up." “I thought she [Latoya] wanted something more to write about and thrive upon. That was the reason she came to Minneapolis and caused this big commotion. Two weeks later, she was on Howard stern show, talking about how we saw each other in Minneapolis and that I was the one yelling and raving and cursing and screaming and it was totally the opposite. It is all an attention thing"
"The outrageous and false statements by Latoya Jackson are further examples of her willingness to say anything involving her brother for attention and money." Latoya Raiding Michael's Corpse for a "Tell All"